Today, 31st August, is the last day to take advantage of this offer. 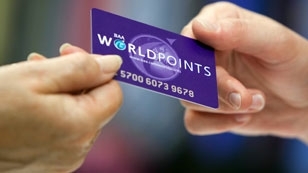 You will earn 1,000 BAA WorldPoints (worth up to 2,400 Avios if converted during a conversion bonus) for spending just £10 at Heathrow or another BAA airport before the end of September. Here is my original post on the offer and here is the sign-up form. I signed up my Mum when this promo started and used her card at Heathrow last week when spending £13. Within 24 hours, the full 1,026 points were showing on her WorldPoints account. I will transfer these during the next WP to Avios transfer bonus, assuming another one does come along. Note that the AA and Hyatt links take you to points.com pages which, at least for me, struggle to work on an ipad. Just tried to sign up at the last minute as usual. Sadly, I may have missed the boat.. Form says ‘Registration Failed. Promotion code is not yet valid’. Does anyone remember if the promo code for this was 706 as it seems to be on my screen or something else? Someone over at paidtoshop.co.uk also just reported this. Perhaps it was pulled a day early by mistake? 706 sounds familiar but I am not certain. Very annoying if that is the case. It’s also the last day to convert Clubcard points with the 50% bonus. Also, Shell has different quarters, their last quarter for this promo ends on 30 September. Not sure if that was aimed at my comment about Shell quarter dates – but if it was, the different dates are confirmed at the bottom of the page you quote.